At times a « returnee » in Africa, at times an « Afropolitan » out of Africa, always enterprising, an entrepreneur and a start-upper: Stéphanie Prinet Morou is an ambassador of her generation. She stands as a cultural innovation and retail curator. She is a consultant on strategy and innovation for the Luxury, Fashion and Beauty professionals. Stéphanie Prinet Morou owns an expertise for managing creativity and engineering multicultural projects. She sharpens her marketing vision, the one of an interpreter of the market, who pays attention to weak and emerging signals. She employs her talent transforming creative ideas into a fruitful business. Her journey starts at the corner of the 2000s, in management functions in the luxury distribution sector, and in the driving of cultural, business projects within the French Houses LVMH Le Bon Marché Rive Gauche and Franck & Fils. 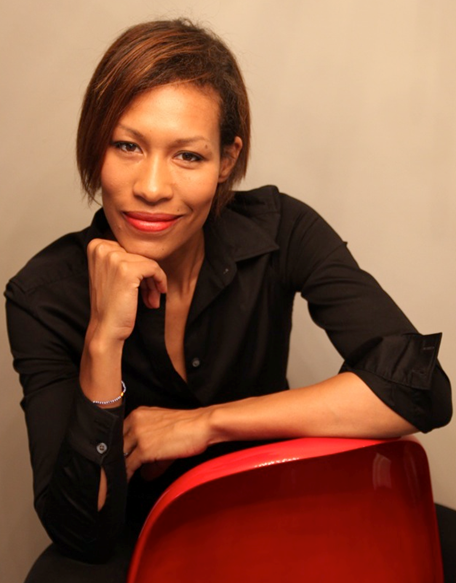 She is graduated from the Toulouse Business School and holds an executive MBA that she co-graduated from the IFM, the French Institute of Fashion, from New-York City FIT and from Hong Kong Polytechnic University. It’s across her IFM executive MBA that Stéphanie Prinet Morou gets spotted by the L’Oréal Paris’ luxury division to join Lancôme’s international marketing and retail events team as a project manager. Five years along which she builds, with her very fore sighting way of working, a new profession gravitating around innovation and retailtainment. 2011 is a year to remember for Stéphanie Prinet Morou: she founds her own consultancy, METIS INSIGHTS. Multicultural marketing and strategic innovations are the bedrock of METIS INSIGHTS, for which she travels the world looking for business opportunities within emerging and diversity economies, for Luxury, Fashion and Beauty professionals. Relentlessly on the lookout for the previously unseen and the iconoclast, Stéphanie Prinet Morou quickly gained recognition by the leading players of those market segments. She earned an award in 2013 for Emerging Leader, before she was shortlisted by the French Embassy in Togo, where she expatriates in 2014, for the best development project dedicated to the enhancement of the natural African heritage through ethno-botany. Simultaneously, one foot in France and the other in Africa, she strengthens her pedagogic engagement by becoming a CELSA-Paris Sorbonne teacher in multicultural marketing, while releasing her own studies on the connection to Afro-descendant women’s beauty, and while hosting conferences and formation sessions on the mutations of marketing. In 2015, Stéphanie Prinet Morou steps in on a new role as the Development and Strategic Director for Galeries 54, a Fintech, pure-player start-up on its market segment, based in Africa. She endorses the crazy challenge of launching Africa’s very first premium E-concept store. As a spearhead of the development of the African continent in the Fashion, Beauty and Design departments, Stéphanie Prinet Morou is selected along with 400 businesswomen from 41 countries to participate to the first edition of the Women in Africa congress, in 2017. As a speaker on various events, Stéphanie Prinet Morou takes on the high-profile grandstand of the Paris Book Fair to hold an unprecedented conference on the education and the professionalization of the Fashion and Arts and Crafts working scene, in connection with the cultural and creative industries, at the 2018 Pavillon des Lettres for Africa. With her French-Togolese roots, her fight is to turn Africa into a relevant commercial partner with a strong added-value in creative and cultural industries, which she identifies as powerful economic growth leverages. She stands as a true believer that these fields of will permit not only the modernization of distribution in Africa, but also the sophistication of a market in which women and men have to be, according to her, both legitimate and recognized.